To appease hardline Brexiteers, Downing Street said the UK is "categorically" leaving the customs union – going against what a clear majority of the public now want. Gagged by hardliners, the Tories are on course to deliver a disastrous Brexit – now’s the moment for Labour to make their position clear. Theresa May will be replaced with a “dream team” of “three Brexiteers” – Boris Johnson, Michael Gove and Jacob Rees Mogg – if she continues with plans to keep Britain in the customs union after Brexit, the Sunday Times revealed yesterday. The whole country is being held to ransom by a group of extreme Brexiteers, the plot confirmed the prime minister too weak and too concerned with keeping her own job to oppose them. And what’s at risk is huge. Leaving the customs union would mean a hard border in Ireland and tariffs on imported and exported goods could be devastating for British businesses. The PM would give all this to save her own political skin. “It looks like we’re heading for a Brexit based on the internal squabbles of the Tory Party, not the practical facts on the ground. “It is increasingly clear Theresa May is not making decisions about Brexit in the national interest but in the interest of her remaining in her own job. But leaving the customs union not only goes against economic sense, but also against the will of the country. Polling by Left Foot Forward recently showed that 57% of people believe we should remain in the customs union after Brexit and just one in seven (16%) believing we should quit. And 60% believe the UK should remain in the Single Market. Only 16% believe the UK should quit, while one in four (24%) neither agree nor disagree. The same poll found that 71% of Labour supporters back remaining in the single market and customs union. And in recent days, there have been the strongest hints yet that the Labour leadership might be about come into line with their members’ views on the customs union. Labour politician and Welsh First Minister, Carwyn Jones, claimed two days ago that Labour would pledge to keep the UK in the customs union “in the next few months” and that leaving the bloc would be “economically daft”. Jones said that the current Labour stance – that the UK should leave the customs union – was “undergoing revision and review”. With the Tories gagged by hardliners and looking utterly out of touch with feeling in the country, now’s the time for Labour to push for a softer option — responding to this weekend’s political fallout, they should seize the initiative and announce support for the customs union. Simplistic binary politics from Left Foot Forward YET AGAIN! The Labour Leadership is trying to bring people together on Brexit, however hard that seems to the Neoliberal Wing of the Party. The Labour people are doing a good job in keeping options open and would benefit from some proper backing and not just the establishment wanting to impose a Middle Class resolution to a much wider problem. Many young people are fed up of high student debt, poor work opportunities and all the other issues dealt with in the Labour Party Manifesto 2017!!!!!!!! The views of Starmer and Corbyn are not entirely compatible but the public need to be reminded that Labour is not in government so policy in what might be called work in progress should not be an embarrassment. 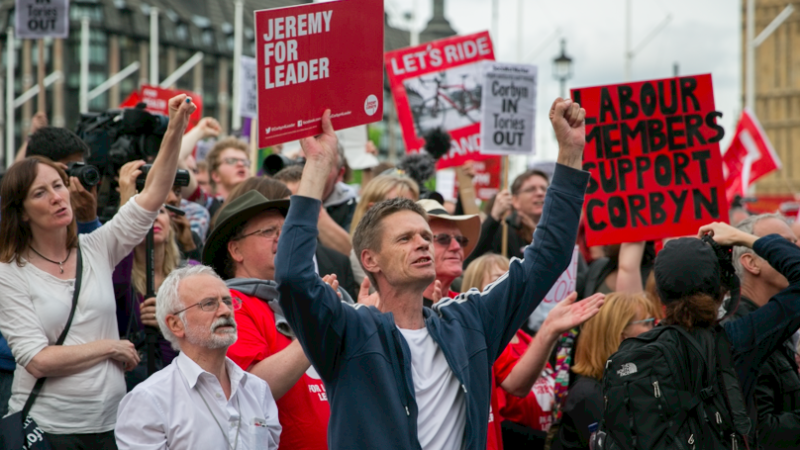 It is the views and expectations of the potential Labour supporters in Labour seats and marginals that should not be ignored nor those supporters in ‘hopeless’ constituencies given undue weight. One aspect of the Brexit debate hardly covered is the reform of the EU. Should the whole Brexit be overturned Labour should make it clear it wants to see reform of the EU, its institutions and excessive tendency to neo-liberalism policies.